You capture people so well Marcus! A good laugh is a wonderful thing! excellent portrait and cool backstory. What a wonderful portrait! I am still working on striking up the courage to take my first street portrait 😛 this is very inspirational. Thanks, Mikki, much appreciated 🙂 ! Let me tell you, there is not much courage needed! Most people actually appreciate being talked to and get their portrait taken! And the more extrovert their looks, the more likely they like the attention they are getting! Try it! I will try really hard to give it ago next time a person grabs my attention. I saw an elderly man who almost had his life written on his face in Portugal. I really regret not asking him. Thank you for the encouragement! An exceptional portrait. I’d definitely, like to have him on my side if I got into altercation. I hope I never need him. What a great story! I love how his “serious” pose still has a hint of a smile and laugh! Doesn’t it? He was so much fun to talk to! Thanks, Deb. 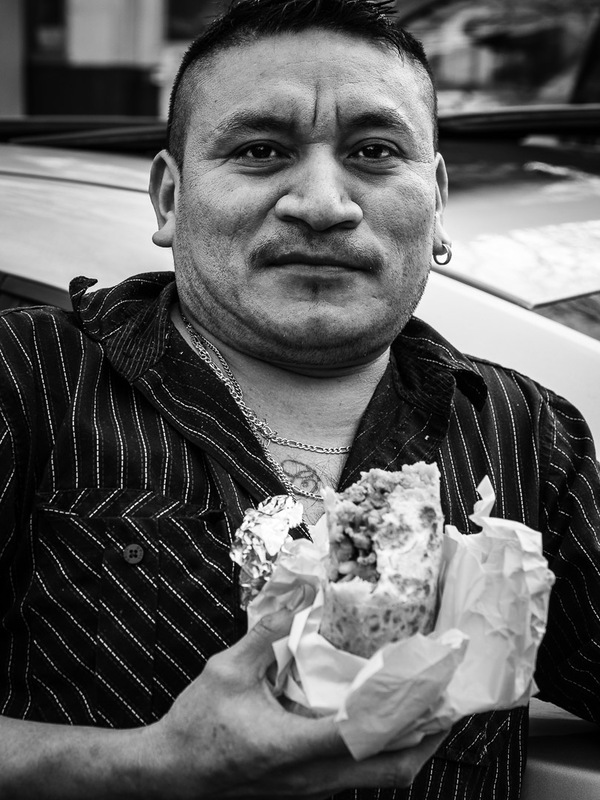 This is what I love about Street Photography…..